Spring is in the air. Finally. In Alaska, Spring usually takes it’s own sweet time, usually emerging in all its glory around about the time most people in the Northern Hemisphere are well into summer. This has been an unusually warm winter, and so almost all of the snow is already melted. Bemoan global warming all you want; no one up here is complaining. April is always a busy month for us. There’s Pascha (Orthodox Christian Easter), and the end of the school year is just around the corner. Seeds for the garden must be started indoors, because the growing season in Alaska is short and intense. We’ll transplant the small plants we’ve grown usually around the first week of June, by which time we hope it no longer freezes overnight. We need to get new baby chicks in as well, as our older girls are no longer laying. Sometimes we also raise a few baby pigs for slaughter later in the fall to supplement our supply of salmon and moose, but we’ve still got some pork in the deep freezer, so we’ll skip it this year. And then there’s bees. We’ve kept bees for a few years now; last summer was the first time we really brought in a honey harvest (about 70 pounds from two hives), and let me tell you it was worth the wait. I decided to become a beekeeper because I’ve always had a phobia of bees, and I thought what better way to get over that fear than to own it? (You can read a piece I did for our local paper about my initial bee drama here). It worked. Sort of. I fell in love with bees – just not at harvest time. In the Spring, they’re adorable. When you try to harvest their honey in the fall, they’ll try to kill you. With bees, it’s all or nothing. We have to order our bees every year from a local bee dealer. 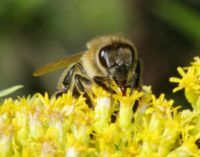 It is unbelievably difficult – almost impossible – to keep bees year-round in Alaska, because of the cold and total lack of pollen and nectar. We have two hives right now, and we just ordered a four-pound packages of Italian bees for each. In the past we’ve kept new World Carniolans, but both of our hives swarmed last summer, and the Italians are supposedly less likely to do that. Our bees will be “grown” in Northern California and barged up to Alaska, in huge, buzzing pallets. I always wonder what the freight handlers think when they unload them. Each 4-pound package will hold anywhere from 16,000 to 18,000 bees. That’s a lot of bees, especially for a woman who still has a latent tendency to run screaming at the sound of just one. Fortunately, initially the bees are very laid-back – even when I shake the package into the hive. Of course, I always wear a full beekeeping suit (my “astronaut” suit, as the kids call it) because I have so many allergies it’s likely I’ve developed one to bee stings as well. I’d rather not find out. Dad checking the hives. It’s a family thing. I’m visiting from Janet Reid’s blog. Love your blog! Lilly Faye, thank you for visiting! Christina – when you go out and pick up your new bees take me with you! It’ll be an adventure! Stopping by from QOTKU blog. I’ve lurked on your blog, hopping over from QOTKU’s blog, before but I hate WordPress because of the sign-in factor. Living in Alaska with such a clan must be amazing. The smell in the spring air, with all those bees, just wow. 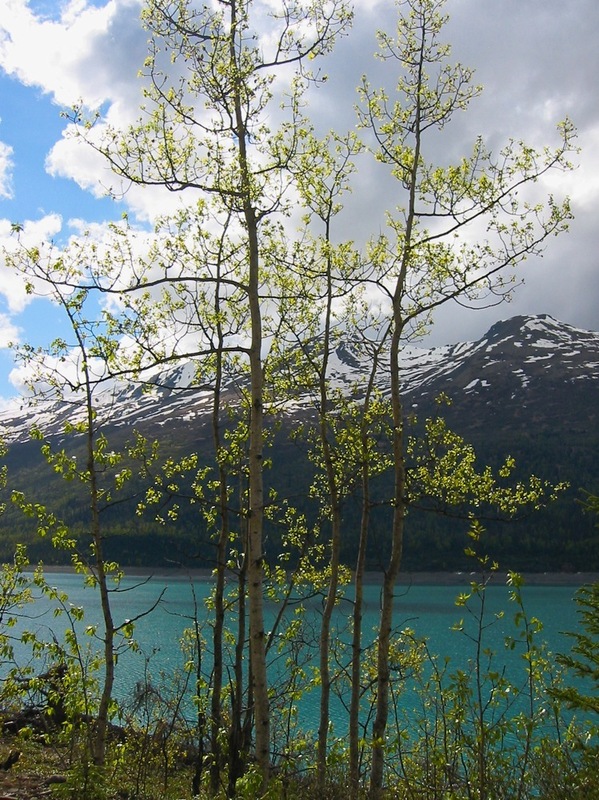 Christina, it’s so interesting to read your blog and learn about your life in Alaska! And it is difficult to overcome a phobia: you are a very brave woman. hey, what a cool post. 🙂 my father in law has been talking about raising bees for the past year. i think he’ll actually do it if he can convince his wife. 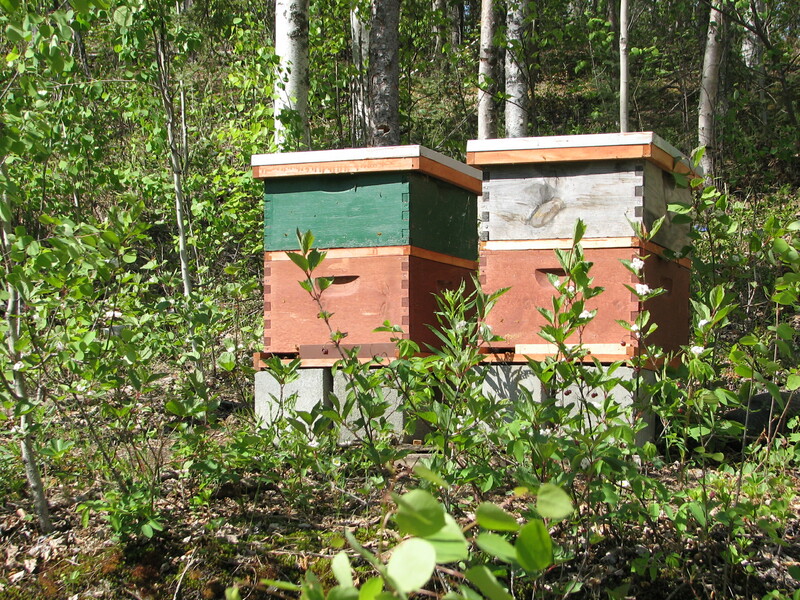 🙂 my hubby’s even starting to talk about raising bees, but although i’d love to have fresh honey, i don’t think i want bees that close to the house–especially with a toddler and infant hanging around–also, i don’t think it’s allowed in our area…good luck with the new hives! i’m popping over from janet reid’s blog. Stopping by from JR’s blog to say hello!